The Student Chapter Utrecht (SCU) has been actively involved with the SPE since 2009. 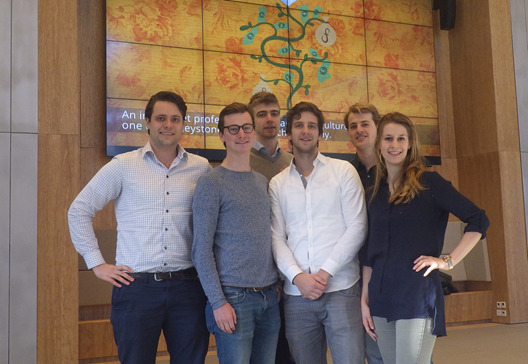 We have one main goal: bringing geology students of the Utrecht University in contact with the (petroleum) industry. Since the start of this chapter we helped to organizing a few of SPE NL’s larger events such as the 50 year anniversary and the yearly Black Tie Dinner. During the previous years several additional events have been developed and organized with the help of the Student Chapters of Amsterdam and Delft. You might have heard of the YP-SPEed dating, the SPE geological summer excursion (SPEX) and the participation in the ATCE’s Petrobowl competition. The increasing amount of students becoming a member of our chapter only confirms the growing interest of our students in the industry and with this the importance of our existence. More and more students find their way to not only our own lectures, but also those of the SPE YP. This is positive trend which we intend to continue with additional workshops, joint activities with the other chapters and the very successful SPEX. From where we have come, the SPE Student Chapter Utrecht intrudes more and more into the world of the petroleum geology and engineering. With our motivation, interest and attitude, a Gold Standard glows at the horizon.